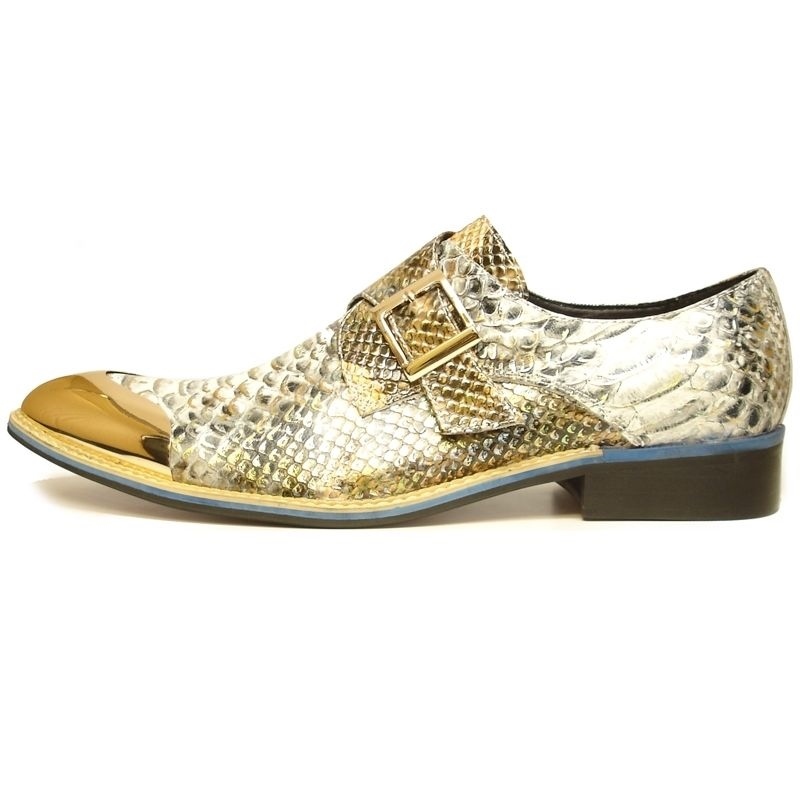 Grey Gold Tip Fiesso Oxford Shoes from Aurelio Garcia is the best bet when you want to add some bling to your attire in a creative way. Grab these gold grey monk strap shoes and pair them with a contrasting ensemble, perhaps in black or dark blue to ensure the contrast works perfectly. The suavely crafted men’s monk strap dress shoes use genuine leather—expect soft, comfortable footwear that keeps fatigue away. 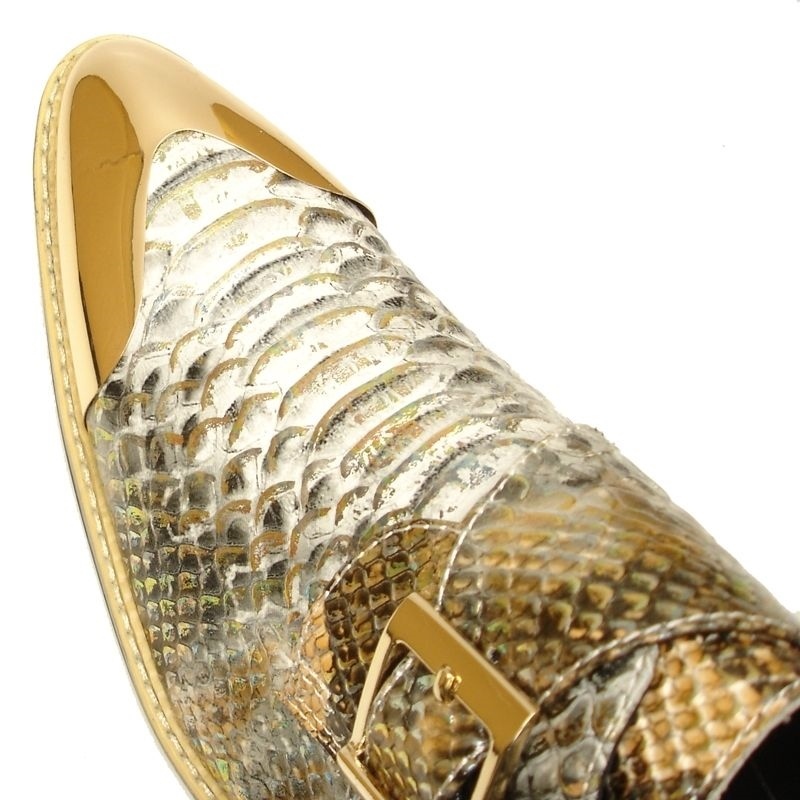 The main highlight is the golden metallic tip and snake print over the toe cap, vamp and counter—these designer leather shoes are not meant to be subtle. The emphasis is on grabbing the spotlight. 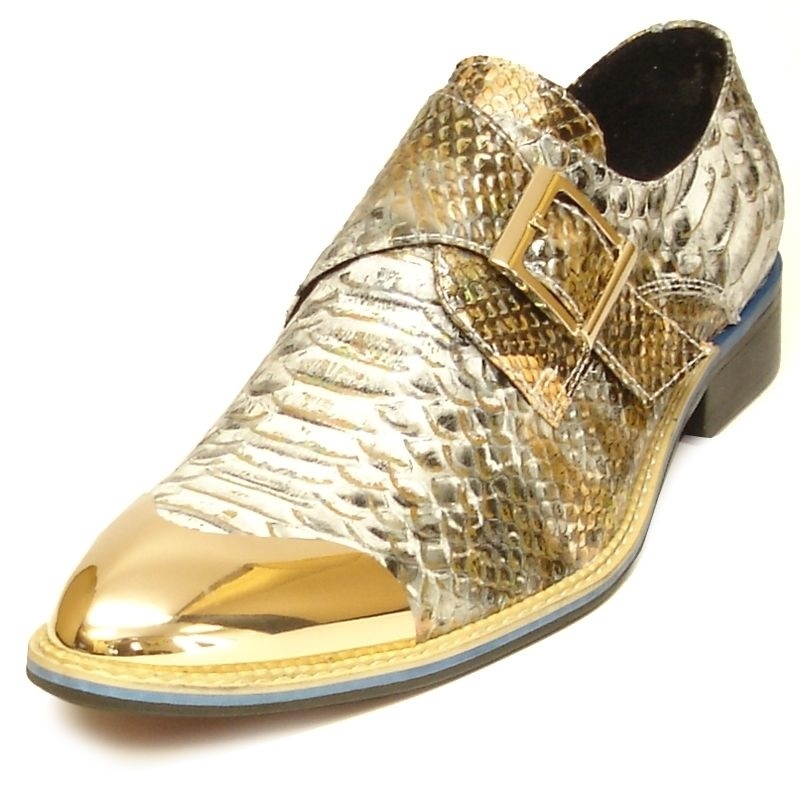 Exotic leather shoes wear a gleam that is easy to maintain. Padded insole has been smartly designed to absorb shock. Team these men’s party shoes with a brown checkered jacket, white shirt and skinny pants to rock this season’s look, borrowed straight from fashion ramps!